Here is a picture of my1961 Morris Minor 1000. The car is a replica of a Panda car, a patrol car for the police in the small towns of Britain. A 948cc engine, creating 37 horsepower with a 4 speed manual transmission, powers the car. 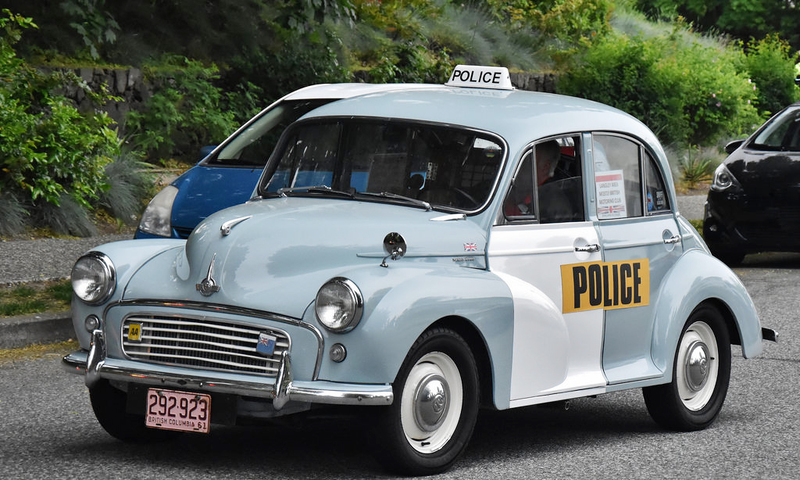 The Morris Minor is very popular around the show circuit in the Vancouver area of British Columbia Canada and never fails to draw a crowd. The interior features original leather seats, single speedo and pull start. The information on the car states it seats 5 but actually 4 comfortably. I also have a ‘58 that goes into TV shows such as Charmed, and the movie BFG.